It’s not long to go until Her Majesty’s Diamond Jubilee… To celebrate the most respectable departments throughout the country are coming to celebrate, this most historical event. Starting with Harvey Nichols they have turned their windows into time machine with going back sixty years when the respectable food, beauty, and fashion store first started out. Their store windows have been completed with shops and boutiques seen through the Queen’s illustration reign. Over within Knightsbridge area one of my favorite and respectable department store Harrods, have recently ran a competition for one lucky follower to win the chance to design one of the world famous Harrods windows. They invited their followers to create a mood board on Pinterest, which would be the inspiration for a 'Queen's Diamond Jubilee Street Party' window. Along with in the making of a tribute exhibition filled with regel masterpieces created by the some of the world’s most esteemed brands. It’s the perfect tribute to Her Majesty! As you pop over to regent street Libertylondon are hosting a Diamond Jubilee online shopping edit where you can shop gifts and quirky items to celebrate this historical occasion. 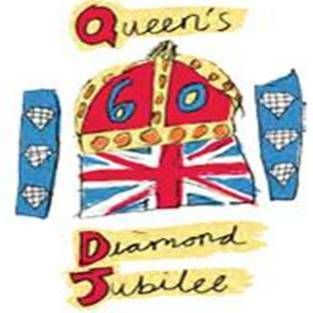 Find out what your local stores are getting up to celebrate Her Majesty’s Diamond Jubilee.